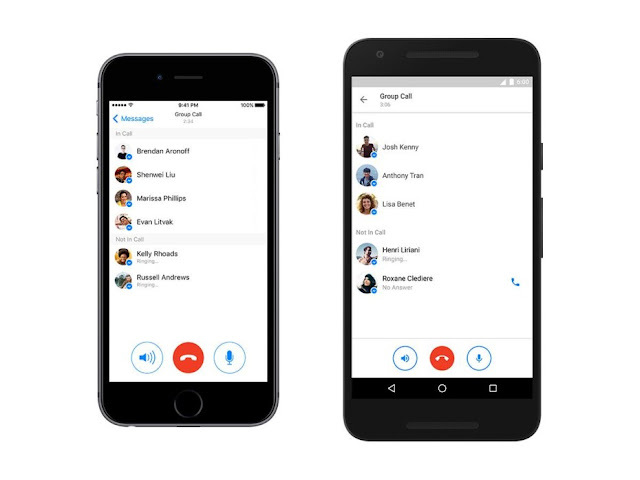 Facebook has finally deployed voice calls on Messenger for everyone, and it includes group calls of up to 50 people at once. Facebook was testing voice calls on Messenger foi quite sometime, but that wasn't available to all users. That's something that has finally been fixed, and voice calls on Messenger should reach everyone with the latest update that is being deployed as we speak. Also in a not so distant future one can envision Facebook expanding its chat bots service to voice calls (voice bots?) and maybe even video bots that can see and show things. For instance we might have a video bot assistant that could see a book we're holding and suggest where we can find other books we might find interesting, or maybe even show a video bot the food we're about to eat, so it can estimate how many calories it has and keep track of it.